Yuva Sena leader Aaditya Thackeray called on Governor CH. 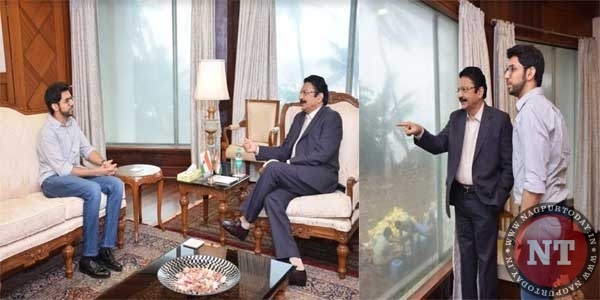 Vidyasagar Rao at Raj Bhavan, Mumbai . The Governor showed from his office the site of the underground British era bunker where restoration work is in progress.